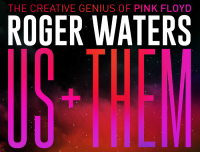 Following the almost daily announcements now of shows for the Roger Waters 2018 European Us + Them tour, five further dates have been revealed - an additional show in Scotland, and confirmation of four shows in Spain. As you wait for further show announcements, we've again looked at the full list of countries that the 2018 European tour will visit, and it seems that France is the remaining country not to have been declared yet. Of course, there may be additional shows in countries which we already have dates for, depending on ticket demand. Watch out for full details of additional concert dates following soon. Dedicated pages for each of the above, newly announced shows on the tour are now live, joining the show pages already shown in the 2018 Roger Waters tour area. As the rest of the European tour is announced, a page for every concert will be in place: the place to find out information on each show, and to see, once the concert has taken place, pictures, video and commentary.